The Chinese company, which also owns Volvo, had acquired a 9.7 percent stake of Daimler through open market purchases of shares and made regulatory disclosures soon after the close of markets. At current market value, the purchase must have cost them 9 billion dollars. Rumours had spoken of Geely’s attempts to buy into Daimler before. A previous offer over 5 percent had been turned down by Daimler though, so that the Chinese now turned to the open market instead. 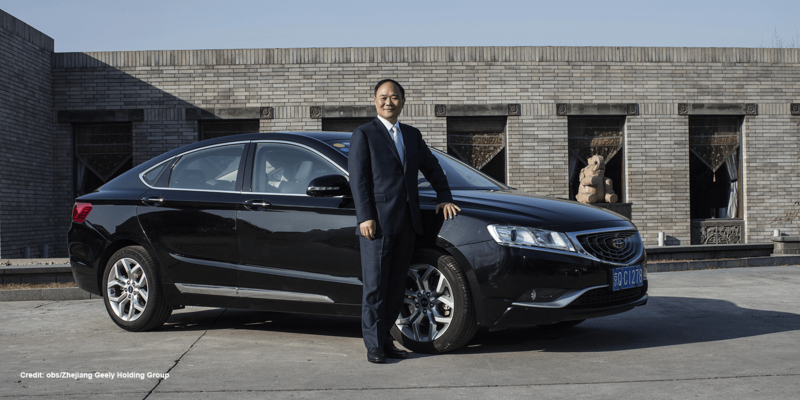 In a statement, Geely pointed to a “long-term commitment” but also said that there is no intention to buy more shares “for the time being.” Geely founder Li Shufu said he will fully abide by the company charter and governance structure of Daimler AG and respect its values and culture. This vision also includes the idea of building batteries, maybe together with Daimler. Geely had recently signed a contract for the construction of a 5 billion dollar factory in Chinese Wuhan and had expressed its wish for a technology cooperation with the Germans (we reported). While Daimler has shown little interest so far and just announced to concentrate its battery competence at Untertürkheim, this new shareholder may mix up things a bit. Sources close to the matter told Reuters that Geely officials are expected to arrive in Stuttgart early next week.